Tourism translation allows travel agencies, tour operators, hotels, and other businesses to reach potential customers around the world. From websites to brochures, magazine advertisements and more, there are many ways for tourism-related businesses to promote themselves. By translating these materials into multiple languages, tourism businesses can communicate directly with potential customers in selected parts of the world. For maximum effect, however, you can’t rely on a perfunctory translation if you hope to catch an international traveler’s eyes. 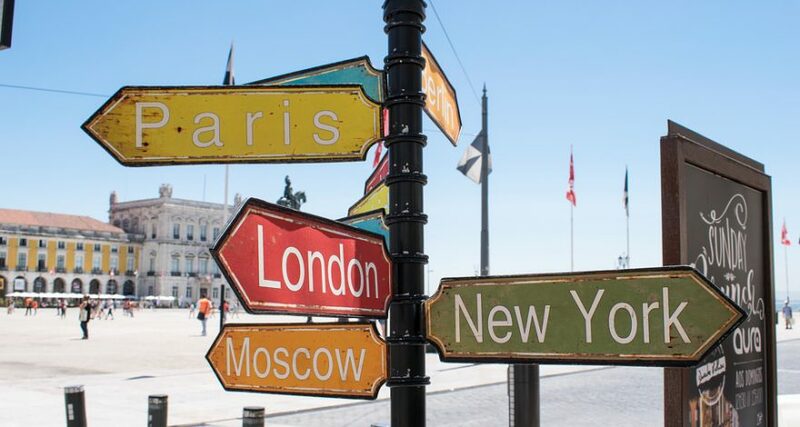 These four tips reveal what makes a world-class tourism translation. Tourism translation is unique from many other specialty fields of translation because it does not require an in-depth knowledge of complex technical terms that are unintelligible to the average Joe. So you’d think that tourism translation would be a cinch, right? Wrong. Imagine, for example, translating the terms “average Joe” and “a cinch” as used above. A literal translation could result in a pretty confusing message! But to present an accessible and friendly message, tourism translation often employs informal speech and native idioms like these. Therefore, quality tourism translation requires an intimate understanding of the nuances of both the source and target languages at a native-speaker level. Accredited Language Services offers tourism translation by linguistic professionals who are experts in both their source and target languages in more than 200 languages. In addition to conveying the message of the text itself, professional tourism translation also effectively translates the marketing flair found in any tourism industry advertisement, be it a hotel website or museum brochure. This requires translators who do more than translate the words; they have to have a way with words in order to best capture the inviting message of the original text. This is why it’s imperative you work with a professional translation company and not just rely on Michael in accounting who minored in Italian. Attention-getting tourism translation also requires linguists to localize for a target audience. The tone and style of text aimed at English-speakers may be totally different from that of a text aimed at Japanese travelers, German tourists, or customers in France. For example, making the appropriate differentiation between the formal German “Sie” versus the informal “du” is a hugely important linguistic and social aspect in a German translation — a distinction that has no counterpart in English. For this reason, translators must be familiar with the cultural norms that are woven into the languages they work with. Finally, tourism translation is especially challenging due to the unique nature of the details that need to be managed. For instance, a hotel website may want to include prices in different currencies to better assist international guests. A professional translator will be able to provide some expertise in this area. Tourism translation experts know that conveying such important details is an essential part of the translation process. Added to the delicate translation of colloquial terms, demand for marketing flair, and the need to localize for target audiences, it’s clear that tourism translation is a highly-specialized commercial skill. When you’re ready to leverage your marketing materials for an international consumer, contact the professionals at Accredited Language. How Can Brochure Translation Benefit Your Business? Very amazing and knowledgeable article.